You may own Axe stored in another software wallet, or on an exchange such as Bittrex or Kraken, or simply want to send or receive funds as a wage or business transaction. 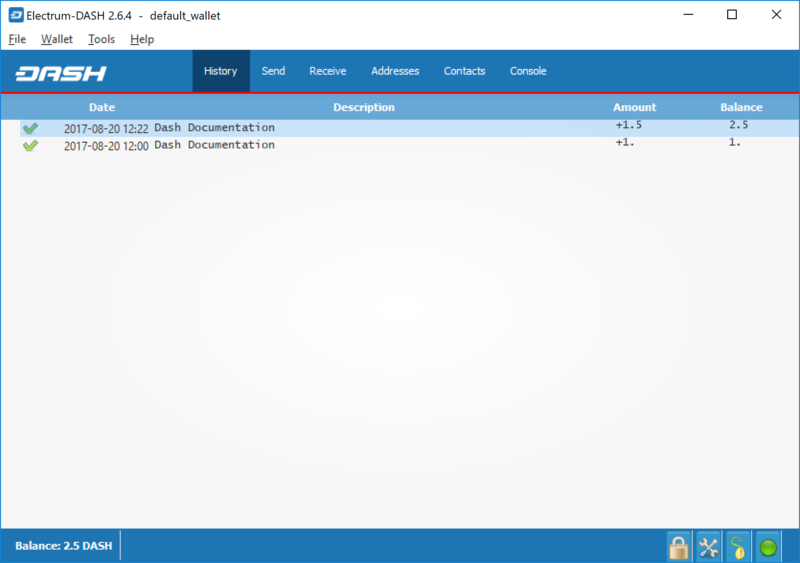 Funds can be transferred between these source and the Electrum wallet using Axe addresses. 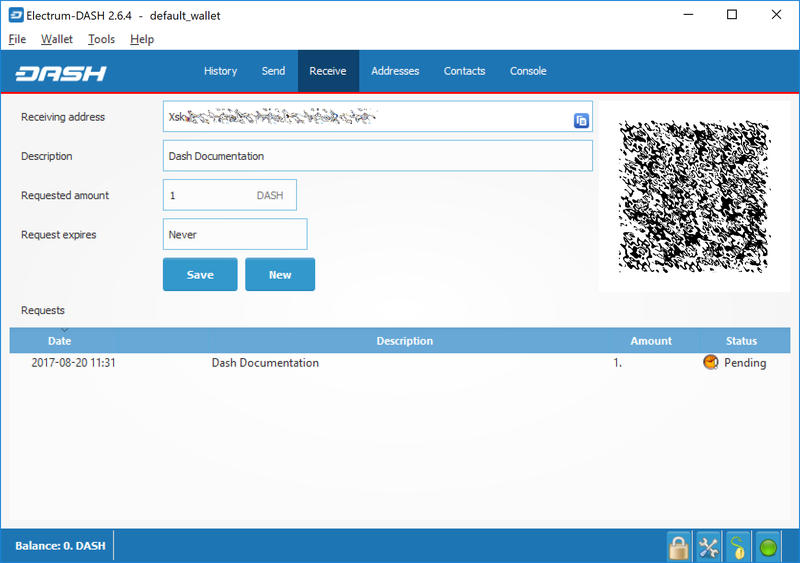 Your wallet contains multiple addresses, and will generate new addresses as necessary. Since the Axe blockchain is transparent to the public, it is considered best practice to use a new address for each transaction in order to maintain your privacy. Click the Send tab to make a payment. Enter the destination address in the Pay to field, either manually or by pasting from the clipboard. Optionally enter a Description for to appear in your transaction history, followed by the Amount to be sent. The total amount of the transaction is the sum of the sent amount and transaction fee, which is calculated automatically. 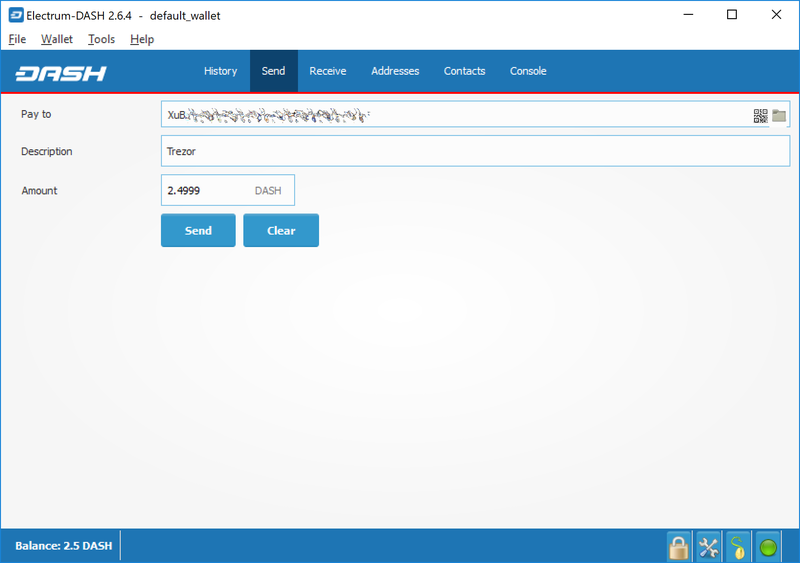 Axe Electrum issues a warning if the total transaction amount exceeds the wallet balance. 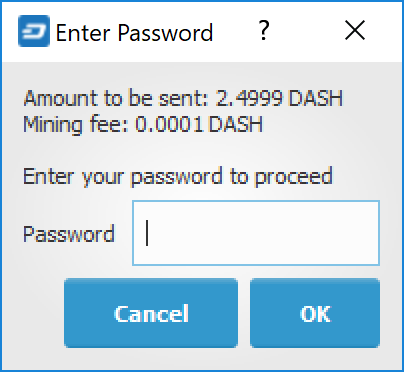 The wallet will request your password, then broadcast the transaction to the network and display a confirmation dialog with your transaction ID. Enter this address in the software sending the funds, send it to the person transferring funds to you or scan it directly from your mobile wallet. Once the transaction is complete, the balance will appear in the lower left corner of your wallet, and the indicator in the Requests table will change from Pending to Paid. Once you have used an address, you can either continue using it or click New to generate a new address. The History tab lists all current and pending transactions. A transaction to an address in your wallet will appear in the list soon after it is made. Initially, this transaction will be marked as Unconfirmed, followed by a clock indicator on the left. As the Axe network processes the transaction, the status will update in the transaction history list. 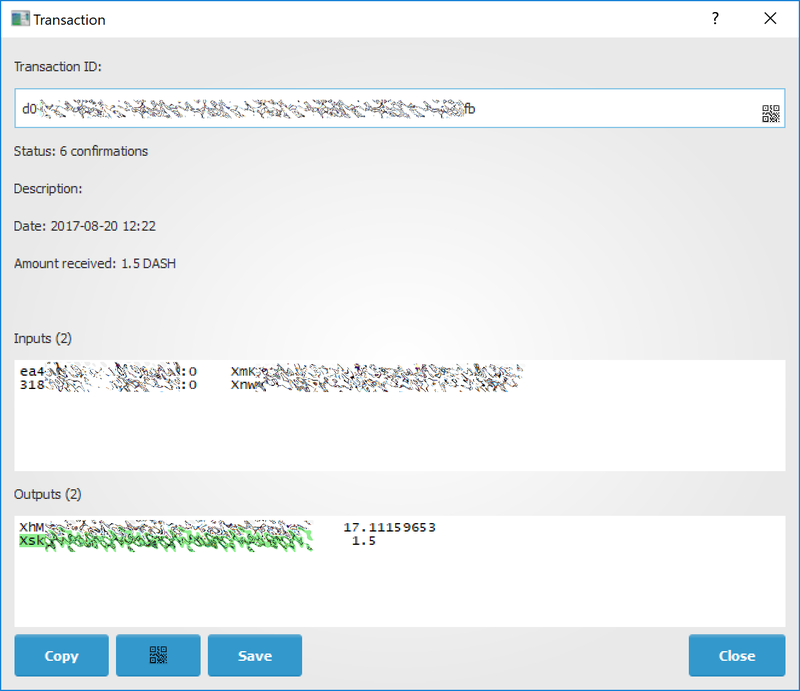 The network confirms transactions with a new block roughly every 2.5 minutes, and a transaction is considered confirmed (and therefore spendable) after six confirmations. These processed transactions are denoted with a green checkmark and the timestamp at which the transaction was made. To view additional transaction details, right click a transaction on the History tab and select Details from the context menu. 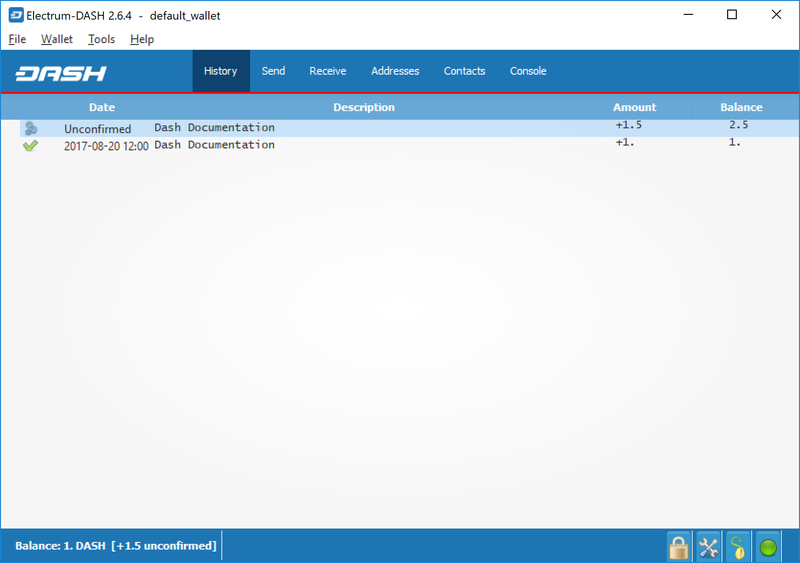 You can also use this menu to copy the transaction ID to the clipboard (this can be used as proof that a given transaction occurred), edit the transaction description for your records or view the transaction on an external block explorer.